What is your perception of prison, prisoners and life in prison? When I mentioned the words Prison and Prisoners some of you may have withdrawal symptom or try to avoid because one might not want to be associate with prison or prisoners. Well, I know this is not the usual topic that I usually blogged about or discuss. But this topic has been running in my mind after my visit to Penjara Kajang. Actually, prison is not a torture chamber or punishment it is a place to correct and reform the prisoners. Malaysia Prison Department also evolving and moving towards Penjara Sejahtera: Healthy Prison Transformations. About 11 bloggers including myself were privileged to be able to go inside the Penjara Kajang, to see how the prisoners live and also interview them. 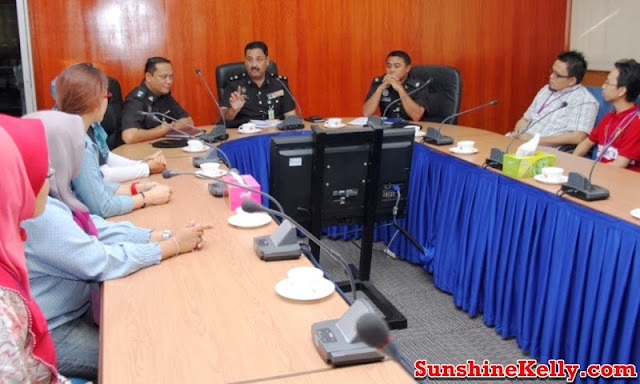 Before we started our visit, we attended a briefing session by Prison Department of Malaysia regarding their latest Penjara Sejahtera campaign and transformation program. This opportunity has changed my perceptions toward the prison environment, treatments including the welfare and human rights of prisoners. Every prisoner has the right to transformed, reform and back to the right path of life. All they need are the proper guidance and help to be a good person and back to the society. This is the Penjara Halaqah at RPD / Drug Rehabilitation Phase 2. Those prisoners with good conducts and performance were placed here because the facilities are better and they have a little bit more freedom to move about their respective area. At the same time the prisoners in this phase has opportunities to learn some skills and training too. As we walked along the prison corridors there were many words of encouragements and wisdom, some of them are in Arabic. I guess this part of the motivation for them to transform while going through the rehabilitation therapy. The picture above is the prisoners room, there are 6 prisoners in a room. Everything is very basic there are 3 double decker beds and one basin and one toilet. Every prisoner wears transparent slippers and they are address by numbers not by names. As I mentioned earlier Malaysia Prison Department is moving towards Penjara Sejahtera or Healthy Prison Transformations. A healthy prison is correctional and transformation place for the prisoners. It’s a place a safe and live able environment where prisoners are treated with respect as individuals; where prisoners are purposefully occupied and are expected to improve themselves; and where prisoners are able to strengthen links with their families and prepare themselves for release. 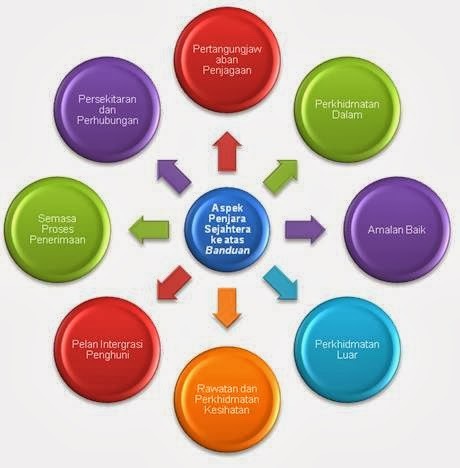 During the briefing or taklimat we discussed about the 10 Criteria towards Penjara Sejahtera (Healthy Prison); how to transform the prisoners become good citizens and contribute to the society, what are the steps and requirements to achieve the status of Penjara Sehajtera (Healthy Prison). The 10 criteria of Penjara Sejahtera (Healthy Prison) - Legislation, Safety, Rehabilitation, Academic Opportunities, Skills and Training, Medical Treatments and Health, Facilities, Best Practices and Disciplines, Society and IT Usage. 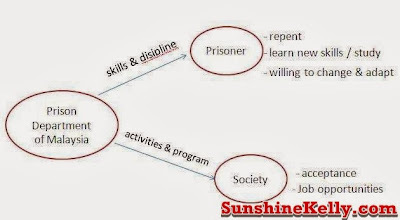 The society perceptions and reactions towards the ex-prisoners are the major pressures or reasons some of them go back to the same gang and commit the same crime again and again. This perception has to change, prisoners deserve a second chance. There should be more activities with the public at the final stage before the prisoners were release. After the prison has guided and transformed the prisoners to become good person and equip them with skills and trainings. The society plays an important role to accept them as part of the community. When the prisoners are released they can be accepted and continue to lead a rightful life and contribute to the society. Thus appropriate steps should be taken to ensure that prisoners are reintegrated safely into the community and where possible into a situation less likely to lead to their further involvement in crime. Family Day: A day whereby the public and the prisoners’ family could visit the prison and has some activities or games together. The prisoners could set up stalls to sell food, handicraft that they made or foot massage, spa or facial services to the public. Music, Arts and Theater: For prisoners who has performing art, music or singing talents. This is the best way they could express themselves at the same time entertain other and be appreciated. Hopefully their artwork or talents are view by the public through tv how to fulfill life needs after released from prison by ensuring the academic, physical and social skills implemented), radio, theater or youtube. Visit homes and charity work: The prisoners could be assigned to various homes to help out with the daily chores like cleaning, cooking or repair furniture or building. At the same time they could also help to entertain and play games with the children or old folks. Sports: Organize friendly matches and games with the public such as football, netball, badmintons, marathons, sukan rakyat and others. All these assimilation activities hopefully will help to build the confidence of the prisoners when they go out and at the same time the public will gradually accept them in the society as a changed person. I suggest that for the non skill female prisoners can be training to be cleaners, factory worker or domestic helpers. This can help to reduce the inflow of foreign workers. Of course for the educated prisoner, hopefully the private, NGOs or government sector will hire them. Besides, the prisoners need to learn communications, EQ and anger management skill also. Some of them might come from a harsh background or those who gets angry and out of control easily. This is to help them not to make mistake again. I hope that there will be association or NGO that will bridge the prisoners to the public and help them to get a suitable job. There is still lack of awareness to the public to give a second chance to the prisoners. 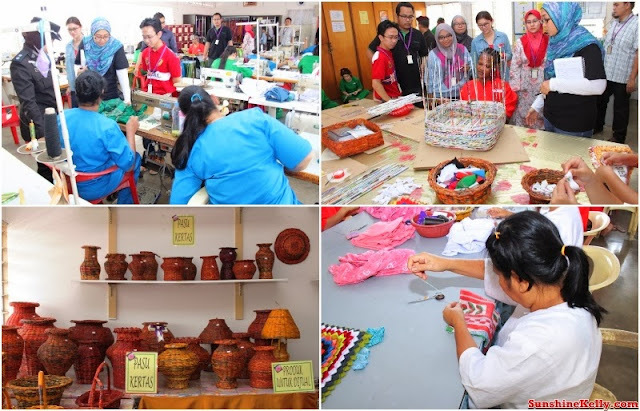 Currently, there is Career Development Plan, Job Fairs, Entrepreneurship facilities and loan such as TEKUN program to help the prisoners to start a new life and earn their living when they are release. There should be an internship program for the prisoners before they were release, especially for those young prisoners. This will help to reduce culture shock and help them to prepare and start to adjust themselves to the working environment. The most important thing is the prisoners him or herself are willing to adapt, learn and change. Take the courage to proof to the society that they has transformed, put the past behind them and ready to start a new life. Overall, I believe that Penjara Sejahtera - Healthy Prison & Prisoners Transformations missions and objectives could be achieved with the co-opretaion from the Authority, Prisoners and also the Society to built a better living environment for all. semoga keluar dengan penuh keyakinan.